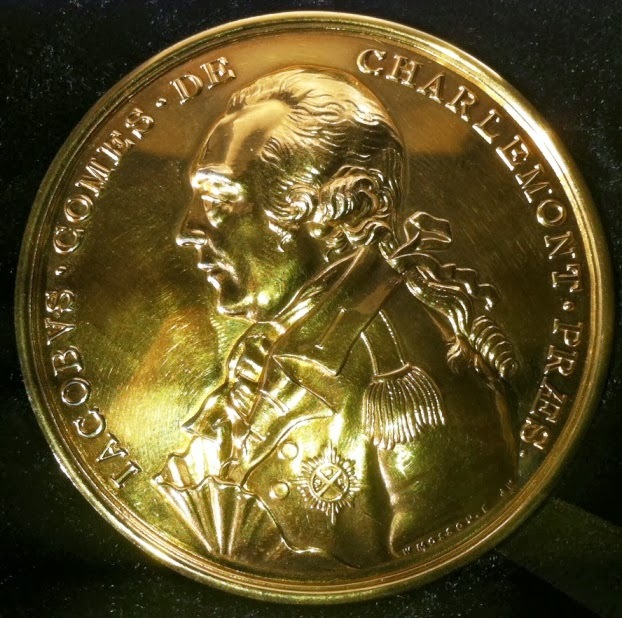 A couple of people have asked me what is on the RIA gold medal. Here are two pics (click on them to see a bigger version). On the one side is the Salmon of Knowledge, which is taken from an old Irish story. On the other side is the First Earl of Charlemont, who was the first President of the Royal Irish Academy. Around the rim is an engraving: 'Professor Rob Kitchin Royal Irish Academy Gold Medallist 2013'. And no, it is not solid gold! Most books about the Second World War document how events unfolded or the experiences of living through them. Ian Kershaw’s ambition in The End is a little more challenging: he tries to explain why the events happened in the way that they did. In particular, he examines why Germany fought ferociously until the nearly the entire country was occupied, Berlin was over-run, and Hitler was dead; why they did not surrender beforehand, saving the lives of millions of people given that it was clear that they would lose the war. The answer he develops is not simple, but is rather a complex blend of politics and the memory of the end of the First World War, communal psychology of the populous to continue undertake daily tasks and obey authority, the absolute power vested in Hitler and the unwillingness of anybody to challenge it, the efforts of leading but competing Nazis such Himmler, Goebbels, Bormann and Speer to continue to organize key aspects of the military, media, party and industry, the command structure of the Wehrmacht and administrative apparatus of the state, fear of the regime and reprisals, and terror at the thought of being captured by the Russians. Rather than examine each of these in turn, the narrative is organised temporally, starting in the summer of 1944. 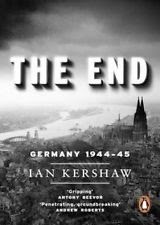 Kershaw provides a wealth of detail relating to both the Western and Eastern fronts and what was happening in Germany itself. Whilst much of the material is fascinating, the text could have done with some editing to remove repetition and to keep the narrative flowing and focused on answering his key questions, especially in the first half of the book. Instead, the book is often plodding, weighed down by too much detail and hampered by structure. Nevertheless, The End is a fascinating book and worth the slog through its dense text printed in too small font. I'm back to buying books faster than I'm reading them. 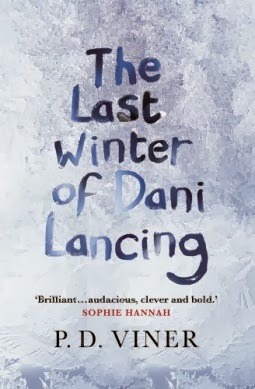 This weekend I picked up The Last Winter of Dani Lancing by P.D. 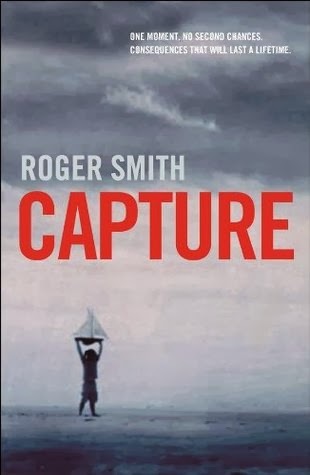 Viner and Roger Smith's Capture. They've gone onto the pile and hopefully I'll get to round to reading them soon. A young woman was standing on the pavement hurling abuse at the house. Henry lifted the phone and dialed. ‘I’ll send someone round to collect her, Henry.’ The line went dead. He stared at her from the shadows. Her face contorted in anger. She’d accused him of sexual abuse but couldn’t substantiate the claim. He was innocent. He’d never met her prior to her allegations. But she’d maintained her assertion. And now he was starting to doubt himself. Her continued presence planting and germinating the seed of doubt. The RIA medal ceremony was a very enjoyable affair last night. There was great turn out from my colleagues and friends, which was very much appreciated. We also managed to make the Taoiseach smile which was pretty good going I think given the week he's having (the government here are having a torrid time at present). I managed not to take a single photo, but the official photographer took hundreds, so hopefully I might get copies of some of those. The one here appeared in the Irish Times. 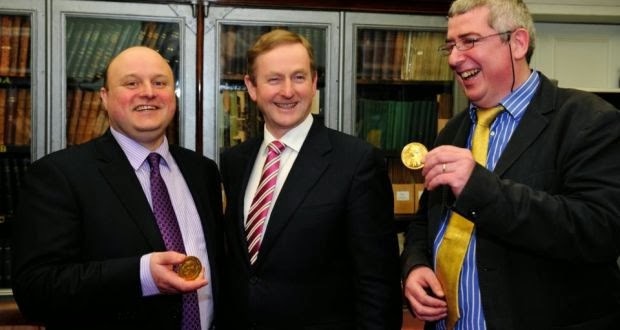 Enda Kenny is in the middle and Colin O'Dowd, the other medal winner, is on the right. There's a short article in the Irish Times today. 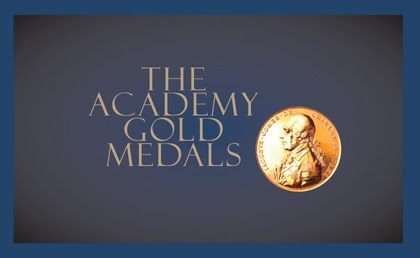 This afternoon I’m heading into Dublin to receive the Royal Irish Academy’s Gold Medal for the Social Sciences, presented by An Taoiseach (prime minister), Enda Kenny TD. 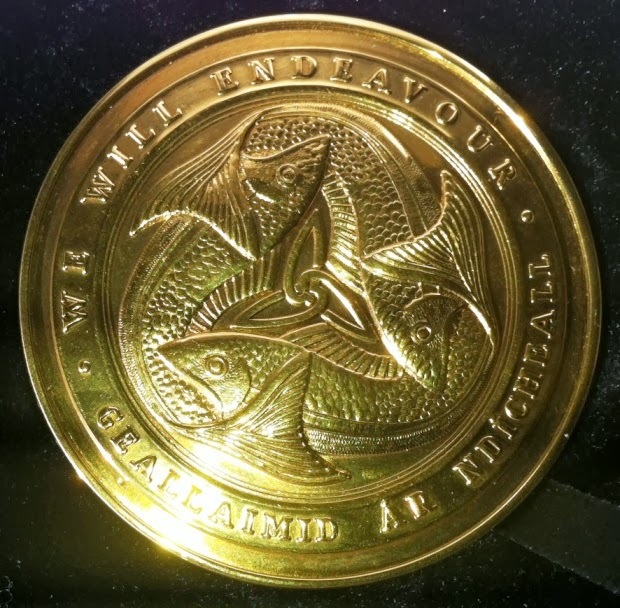 The medals are considered the highest award an academic can receive in Ireland, and are presented once every two years. I’m obviously delighted and honoured to be the 2013 recipient. I’m also a little bemused as they usually seem to be presented to folk who are nearer to the end of their career than the start. I’m also acutely aware that the award is a reflection of a lot of collaboration. Since starting my PhD just over twenty years ago I’ve worked with a lot of great people on various projects and publications, receiving some wonderful support and camaraderie, and if you’re one of those people I owe you a debt of thanks. After the ceremony I have to go for a meal with the Editor of the Irish Times, the Head of RTE (the national broadcaster), and the Director of the Higher Education Authority, so I guess I’ll need to be on my best behaviour and to try and keep my foot out of my mouth. These kinds of ceremony gigs are not my scene, but I’ll try my best to enjoy it. You never know, I might even do so. DS Aector McAvoy is a cop obsessed with doing things the right way, both in his job and at home. Whilst his young wife and child love his attention and doting, his work colleagues are not so keen on his unwavering rule following, especially after half of CID lost their jobs or were demoted and moved after he revealed some corruption. McAvoy’s reward is a transfer to a new unit, the Serious and Organised Crime Unit, headed up by Trish Pharaoh, where he messes about with data and spreadsheets. Two weeks before Christmas, McAvoy is sitting at a cafe with his young son in Hull when he hears a scream from the nearby church. As he arrives he is knocked to the ground by a man fleeing. Inside a young girl has been stabbed to death. With Pharaoh away on a course, McAvoy starts to investigate. However he is soon diverted by a senior manager who wants him to talk to the sister of a man recently lost at sea whilst filming for a documentary, and his boss returns to take over the case. Then another person is killed. Whilst his colleagues jump to conclusions, McAvoy finds a connection between the deaths, which if he’s right are the start of a set. Following the rules, however, might not stop the deadly game and save the next victim’s life. 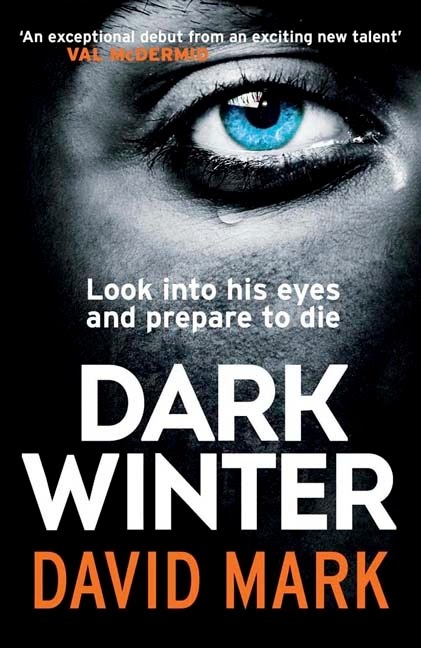 The undoubted strength of Dark Winter is the gentle giant, DS Aector McAvoy, a man who obsesses about doing the right thing. Mark provides the somewhat hesitant cop with a nice blend of self-doubt, reflexivity and determination that often leaves him conflicted, but wanting to find a non-confrontational and just path forward. And the case that he’s presented with -- a killer with a pattern -- being investigated by a divided team that is united in its suspicion and mistrust of McAvoy, provides a challenging puzzle in which the main character is somewhat isolated and his main raison d’être will not hold. Indeed, the case troubles the simple of mapping of good and bad onto right and wrong -- sometimes rules need to be bent to deliver natural justice. The case itself is somewhat familiar serial killer, police procedural fare that is held together by a set of somewhat unlikely relations, relies a little too much on plot devices, and drifts into melodrama towards the end. It is, however, told in an engaging way and is elevated by McAvoy and his boss, Trish Pharaoh. Overall, an enjoyable crime tale set in and around Hull. On this death bed in a local hospital, alcoholic vagrant, Eck Adamson, summons DI Jack Laidlaw for his final swansong -- an incoherent mumble and an envelope on which is written the names of two people, a pub, and a phone number. One of the names is a local criminal who has recently been stabbed to death. Adamson, it transpires was poisoned. Laidlaw starts to investigate the vagrant’s death and is soon pointed in the direction of Tony Veitch, a young student who has recently inherited a small fortune, dropped out of university and disappeared. 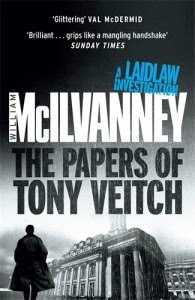 Laidlaw is not the only person searching for Veitch, with two criminals gangs and a rival copper also on the hunt. Laidlaw is, however, the only one in search of the truth. I’ve only read two William McIlvanney books so far, but he’s quickly become one of my favourite authors. Rather than telling linear tales in workmanlike prose that relies on melodrama or fast-paced action sequences to keep the reader’s attention, McIlvanney creates a layered, thoughtful story, rich in observational and philosophical asides told through evocative prose that has a nice cadence and vividly conveys the local dialect. It is a world full of greys, rather than black and whites, with Laidlaw a man of contradictions -- obsessive to the point of alienating colleagues in doing the right thing in his work, but failing in his home life by cheating on his wife. McIllvanney infuses the tale with an underlying pathos and world weariness, and conveys well the sense of place and communities of Glasgow in the early 1980s. The result is a very well told story with three dimensional characters and an intricate plot. I’m looking forward to reading the final book in the Laidlaw trilogy -- Strange Loyalties. Last week passed in a bit of a blur, with a couple of days of meetings in Brussels thrown in for good measure. 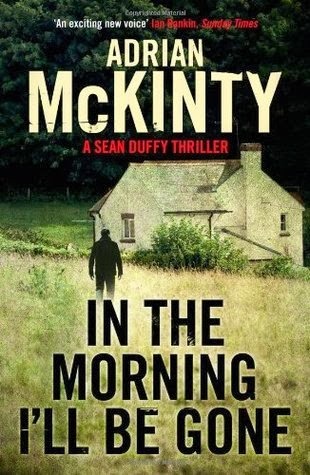 I did, however, finally get round to picking up the third book in Adrian McKinty's Sean Duffy trilogy, In the Morning I'll Be Gone, which I hope to read and review in the next couple of weeks. Gerard tried to ignore the man hovering behind who clearly wanted to jump the queue. The lady in front moved off and the man made his move. He didn’t see the headbutt coming, just felt his nose explode and crimson into pain. Didn’t hear the man mutter ‘wanker’ or see him toss his room card at the receptionist. ‘I’m going to be late,’ was all he could think to say. Private Investigator Ed Loy has been hired to do two jobs. The first is keep an eye on up-and-coming footballer Paul Delaney, who seems to have fallen into the orbit of Dublin gangster, Jack Cullen. The second is to look into the murder of a tax inspector fifteen years previously on behalf of his daughter. The case was seemingly solved, but the convicted man was released on appeal after evidence withheld from the first trial came to light. That evidence revealed that Brian Fogarty had been investigating the tax affairs of three men, two known gangsters, George Halligan and Jack Cullen, and a now wealthy businessman, Bobby Doyle who is on the verge of opening a landmark bridge in the city. Cullen is a long time member of the IRA and is now in a bitter dispute with the INLA over drug turf in the city. The last thing he wants is Loy digging around in the past. Then two hoodlums that attack Loy are found dead, and so is Paul Delaney, and the past rushes forward to meet the present, and a complex and dangerous game starts to unfold. 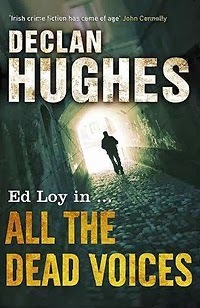 All the Dead Voices jaunts along at a nice pace, with plenty of intrigue and action as private investigator Ed Loy tries to make sense of the two cases he’s taken on that quickly become entwined in lethal ways. Hughes writes with an engaging voice and quickly hooks the reader in. The characterisation and social and historical context is nicely realised, with a good sense of place regarding Dublin and the tail-end of the Celtic Tiger boom and the period immediately prior to the peace process. The story is quite complicated, yet the plot remains clear to follow, with a nice mix of threads and intrigue. However, one does have to suspend one’s sense of belief for the plot to work given the coincidences of the two intersecting plots, Loy's acquaintance with a number of characters, and at a number of points I kept wondering why Loy was still alive? Nevertheless, the story is an entertaining and enjoyable addition to the Ed Loy series. I received an email yesterday announcing that Patti Abbott's debut novel is to be published by Exhibit A (an imprint of Angry Robot Books), the blurb for which is below. Wonderful, I thought, Patti's a brilliant writer - as anyone who reads her short stories knows. Then I read the last line of the blurb - 'will be with you in Winter 2015'. Oh man, that sounds like a hell of a long wait. Talk about a teaser email. Can't it be winter 2014? That seems reasonable. Doesn't it, you good folk at Exhibit A? Anyway, if you've not read any of Patti's work and can't wait that long, you could try her novella through interlinked stories that I reviewed just before Christmas, Home Invasion. Eve Moran has always wanted “things” and has proven both inventive and tenacious in both getting and keeping them – she lies, steals, cheats and swindles, paying little heed to the cost of her actions on those who love her. When Eve kills a man she picks up in a shoe repair shop, she persuades her twelve year-old daughter, Christine, to confess to the crime. The girl, compelled by love, dependency and circumstance, is caught up in her mother’s deceptions and find herself drawn to her new role. It’s only when Christine’s three year-old brother, Ryan, is drawn into her mother’s deceptions, that she finds the courage and means to bring an end to Eve’s tyranny. Set in 1970s Philadelphia and packaged to match, Concrete Angel pits a vindictive and manipulative mother against a daughter with just enough of her mother’s immorality to fight back. With extraordinary vivid central characters, Concrete Angel is a powerful psychological mystery about a woman who always gets what she wants...this remarkable debut novel will be with you in Winter 2015. I spent a few hours on Sunday proofing and formatting The Song of the Sea, a collection of the first 100 drabbles published on this blog, then converting the file into Kindle, EPub and PDF formats. I'm publishing the book through my own imprint, Eostre Press, and making it freely available since all the content has already been openly published. A drabble is a story of exactly 100 words and here is the title track, so to speak. It had been five days since the yacht had capsized. Five days in an orange bubble being tossed around on boiling waves, tumbling and spinning in a drunken dance. Five days listening to the song of the sea. The pitter-patter of spray and the thwack of waves against nylon and rubber, the crash of mountains of water greeting each other or tumbling in on themselves, the howl of the wind whipping and spinning in the troughs, his own groans and the dry heaves of sea sickness. And every now and then a haunting lullaby calling to him from the deep. Hopefully the book proves to be an enjoyable read. "Anne Fogarty was about forty but looked thirty-five, or maybe she was thirty-five and looked her age. It was hard to tell these days, when 21-year-olds were so primped and groomed and orange-faced they often looked like startled 55-year-old millionaires' wives with too much work done." All I know is your best keeping any estimates to yourself - whatever you guess, whether it's too young or old it's going to offend in some way. A week after submitting my latest academic book to the publisher I'm coming to realise the degree to which it coralled my creativity. I barely managed to write any fiction last year bar drabbles. For twelve months or so, I've kept assembling a virtual issue of a journal on the long finger. 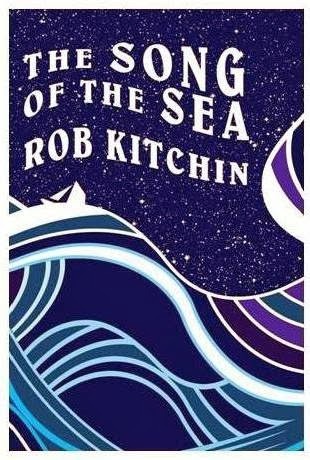 And despite having all the material produced, I never quite got round to publishing my collection, The Song of the Sea. Over the past couple of days I've turned my attention to the latter two, with the aim of having both complete by the end of the month. I think that should be doable. We'll see. Janet knelt on the worn hassock, her head resting on her clasped hands. She stared glassy-eyed at the dull image of Christ in a murky stain glassed window behind the alter. This wasn’t how her life was meant to be. Thirty six, widowed and mourning the loss of a child. It should have been perfect. It had been perfect. And now she felt bereft and lost. A thin slither of light shone through a blue shard and a small hand patted her shoulder. Nearing his fortieth birthday, NYPD Detective Joe Lucchesi has taken a year’s leave of absence after a kidnapping case goes wrong, leaving the kidnapper and a mother and child dead. Joe’s wife, Anna, is an interior designer and the family move to a small village in South East Ireland for her latest project: to restore an old lighthouse. Their sixteen year old son, Shaun, attends the local school where he meets and falls in love with Katie. It seems like an idyllic life until the partner of the kidnapper catches up with them and Katie disappears after a night out with Shaun. Duke Rawlins and Donnie Riggs grew up in rural North Texas where they formed a twisted and dark bond. Now that Donnie is dead, Duke is compelled to seek revenge against the officer who shot him. Darkhouse was a book I edged my way through given the underlying tension and sense of foreboding, which left me uncertain as to whether I really wanted to find out how the story is resolved. Much of that tension is created through the intersecting storylines and juxtaposition of everyday family and village life in Ireland in the early 2000s, with the dark world of Duke Rawlins and Donnie Riggs in North Texas in the late 1980s. 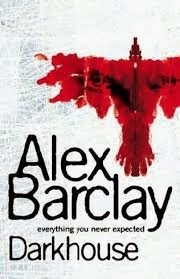 Barclay’s writing is vivid and well paced and balanced. The characters are nicely developed throughout the story and the interactions between them well portrayed, especially the suspicions and strains amongst the Lucchesi household, the police and the village population. There is also a great sense of place, time and social worlds in both Ireland and Texas. The key strength of the story though is the plotting, with a nice mix of carefully ordered tension, feints, and reveals that produces an edge of the seat read without descending into a gore fest. Overall, a very good crime thriller. Melbourne, Christmas Eve, 1943, and Inspector Titus Lambert of the Homicide division is called to a large house in which a father and son have been brutally murdered. He’s accompanied by Sergeant Joe Sable, a young Jewish cop with a heart murmur, who’s been promoted to detective because others have been called up for active service. Initially they have few leads, but when two military intelligence officers declare an interest in the case it’s suggested that this might be the work of Nazi sympathisers. Lambert is not convinced that the murders are politically motivated, but it's soon obvious that there is a small group of active national socialists that have not yet been interned who are intent on creating a fascist Australia. For Sable, the investigation reawakens an interest in his Jewish heritage, and for Constable Helen Ford presents an opportunity to make her mark in a patriarchal police force. As the violence escalates over the Christmas period, Lambert and his team seek to solve the murders before they induce public panic. 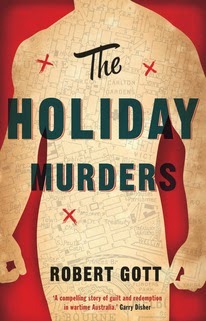 The Holiday Murders is a very competently told police procedural. The real strengths of the book are the plotting and historical contextualisation. The story has a nice pace and cadence, and carefully works all the various clues and participants into place, with some nice feints and blinds. Set in Melbourne in 1943, the story is well framed with respect to the small pockets of anti-Semitism and Nazi sympathisers and agitators who felt the real enemies of Australia were the Jews and communists rather than fascism. Despite this, the sense of place is a little underdeveloped, giving little flavour of the locale. The characterisation is nicely done and there is a good dynamic between the various actors, especially Inspector Titus, Sergeant Joe Sable, and Constable Helen Lord. Overall, an interesting and entertaining read that is hopefully the first in a series. 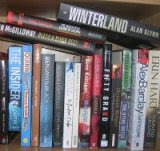 January was a mixed bag of reading. 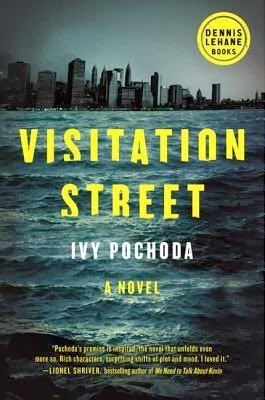 My book of the month was Ivy Pochoda's Visitation Street, a tale set in a Brooklyn neighbourhood. On Wednesday I submitted the final draft of a new academic book to the publisher, Sage. 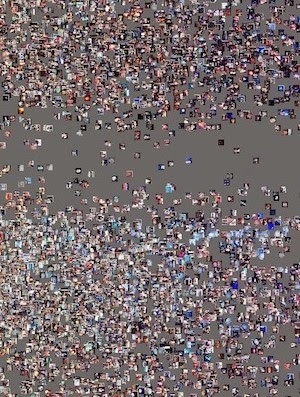 The Data Revolution: Big Data, Open Data, Data Infrastructures and Their Consequences should be published sometime in the summer. The book started life as a short pocket book, but ended up as a full length manuscript to do justice to the rapid changes taking place and to examine what they mean for science, business and government. For details on the content see the link below. Claire spluttered into consciousness. A fire alarm was ringing and the room was already tinged with smoke. ‘What’s happening?’ Her roommate coughed. Claire opened the bedroom door gingerly. The corridor was filled with black smoke, streaks of orange dancing across the ceiling. They clambered in and closed the door. Nearby, something crashed to the ground.